Locality: United States, Colorado, La Plata/Montezuma, Bob Creek. 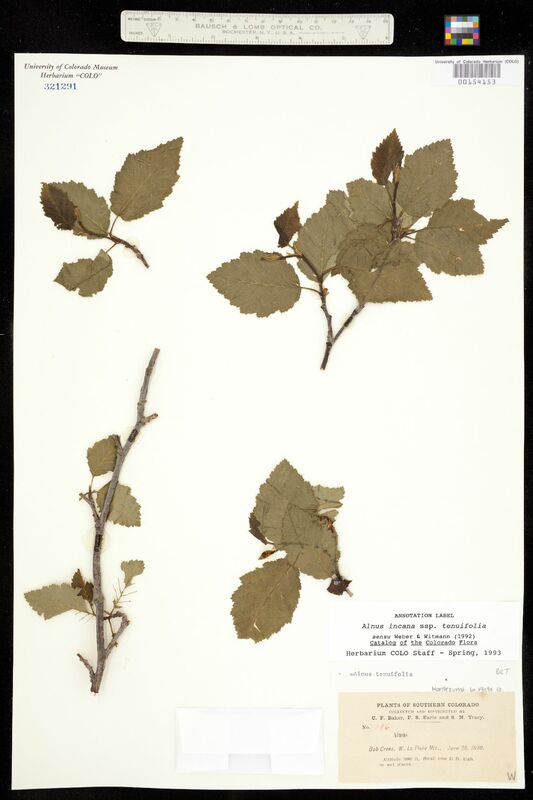 Occurrence Remarks: Originally identified only as Alnus. Small tree 15 ft. high. 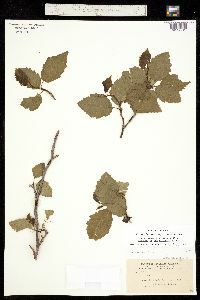 Typed, unsigned note say = Alnus tenuifolia.